Go to your Magento backend to get the username, API key and shop ID. 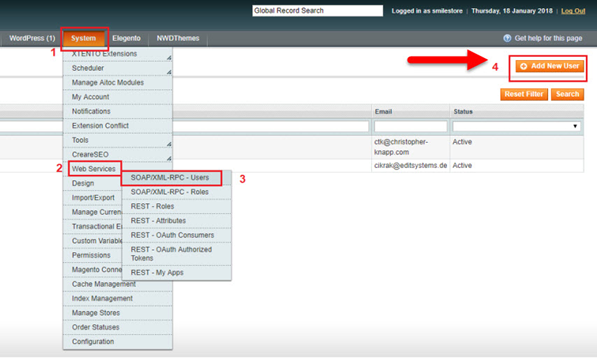 For the user name and API key, you need to create a new user in Magento and assign a new role to it. Fill in all required fields. It's your choice what to enter (including the API key and password). Assign the previously set up role to the user and save your settings. TIP: Remember your settings. It is best to take a screenshot of them, because they are no longer displayed. Click on Available Shops and select Magento 1. Enter the Endpoint URL of your Magento shop (as described above). 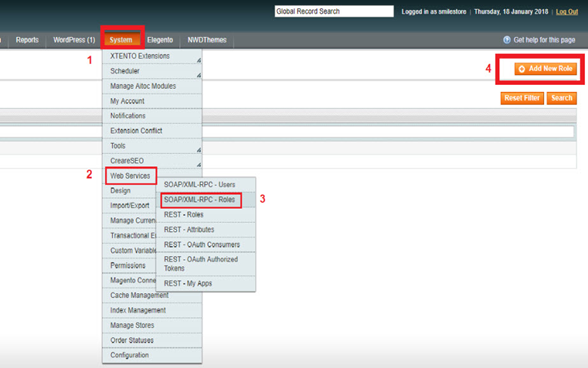 Transfer the just defined Username from Magento to reybex. 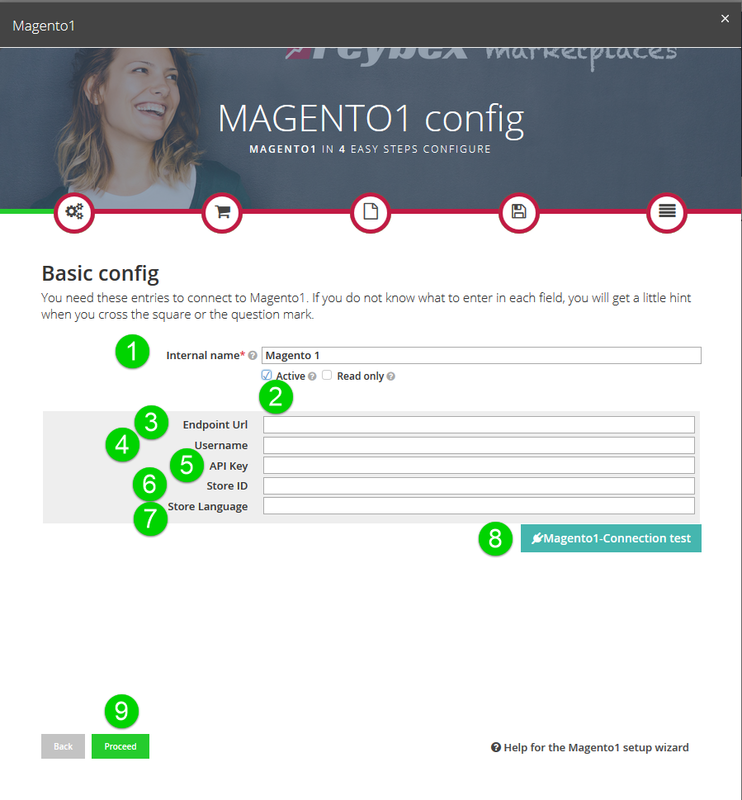 Transfer the newly created API key from Magento to reybex. Enter the Shop ID. You can find the shop ID by going to the tab System in Magento and then to Manage Stores. Move the mouse pointer over the desired Magento shop and the shop ID will be displayed.